Simple & space-saving: Our unique and stylish headphone hanger is constructed from solid aluminum alloy and wood to provide a stable foundation for your headphones - and clear some space on your desk. Designed to withstand the weight of bigger and heavier headphones, TR902 is taller than other headphone stands and features a larger cable holder to keep its balance. Stable & anti slip: featuring a large wooden cable holder at the bottom, our headset holder can also hold your phone in a variety of positions without scratching or damaging your device. Personal & professional: Whether you use on your desk at work or near your gaming console at home, our headphone hanger is perfect for keeping your favorite headphones in perfect condition. Convenient & compatible: Perfect for headsets measuring 5cm at the headband and 30.5cm tall, our headset hanger is compatible with major brands including Sennheiser, Sony, Audio-Technica, Bose, Beats & AKG. Customers say: “In awe over the quality of this stand!” | “A must-have for large headphones!” Avantree offers you a way to keep your headphones in pristine condition. Join the hundreds of other customers who keep their desks organized without headphone wires getting in the way! 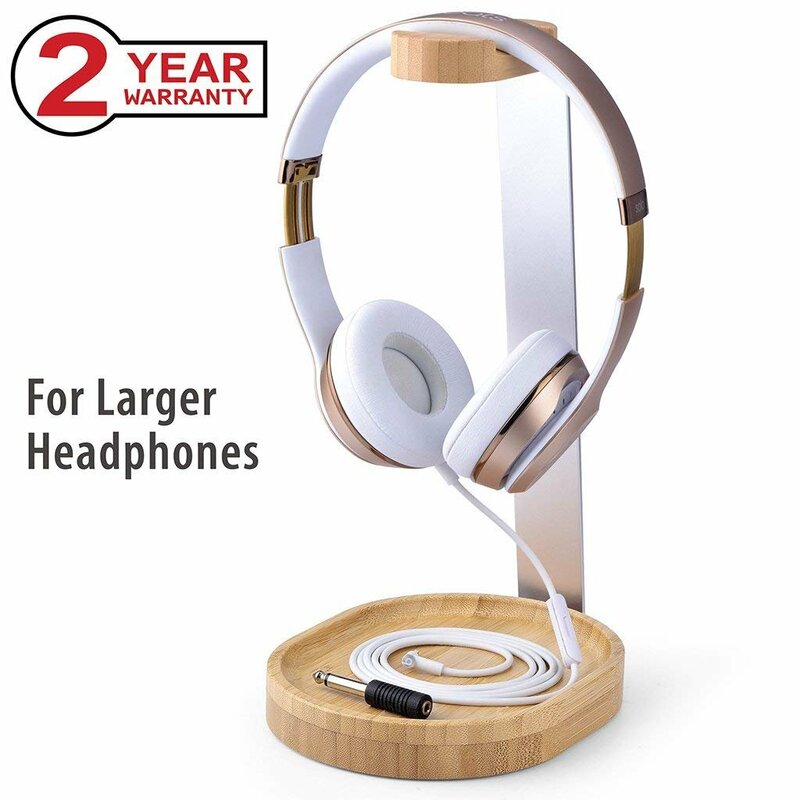 With our 2 year warranty, you can purchase `our headset stand worry free!